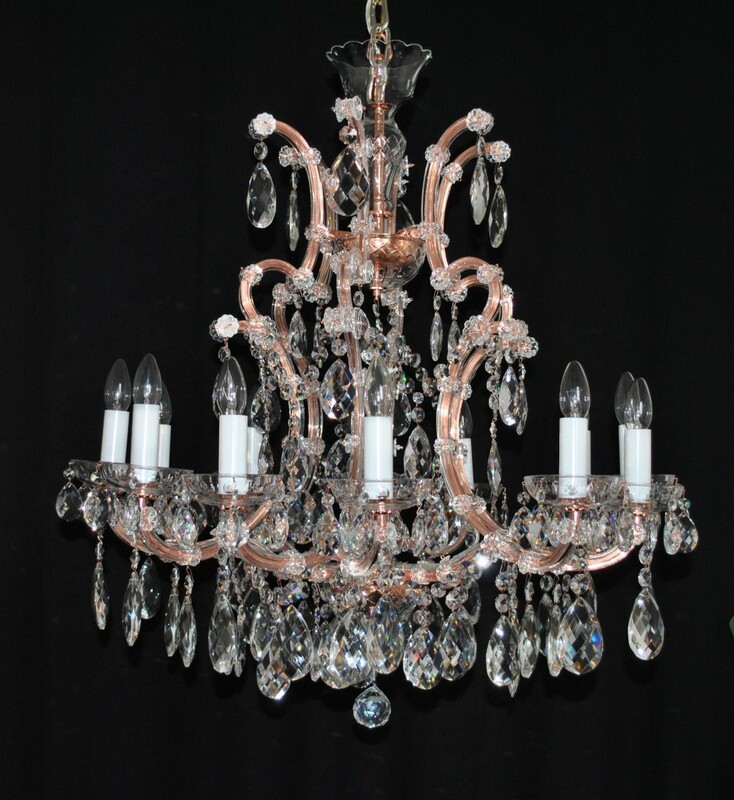 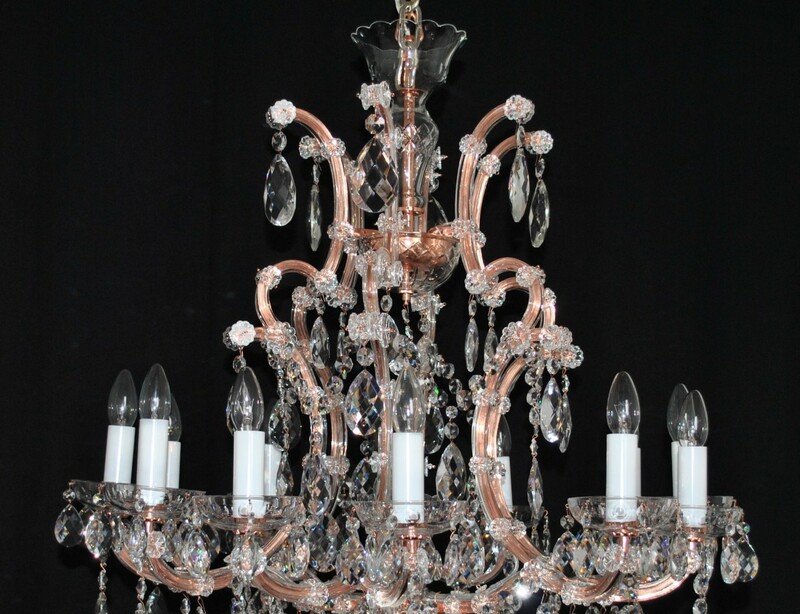 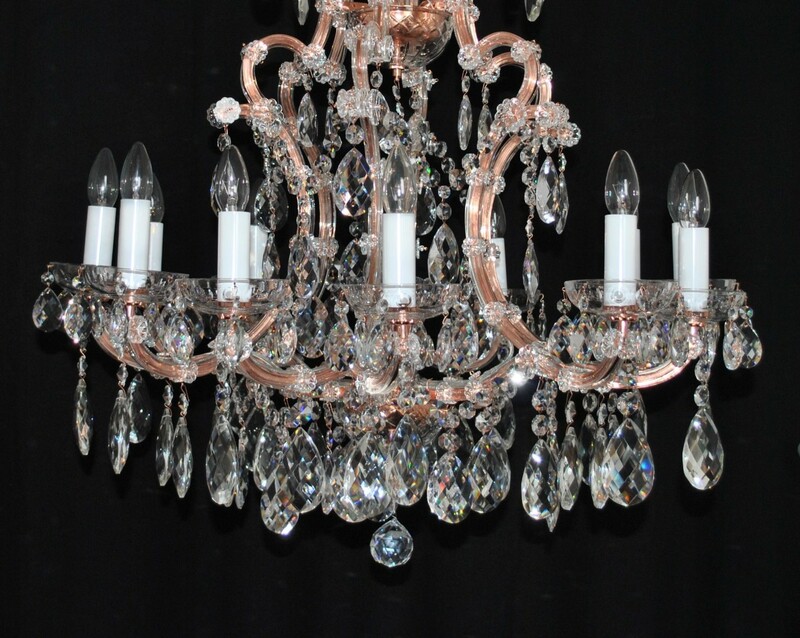 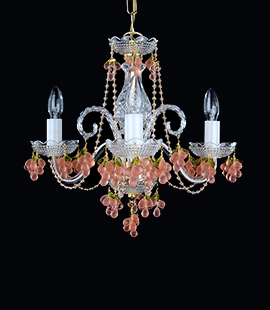 The design Maria Theresa chandelier with a glossy red copper finish. 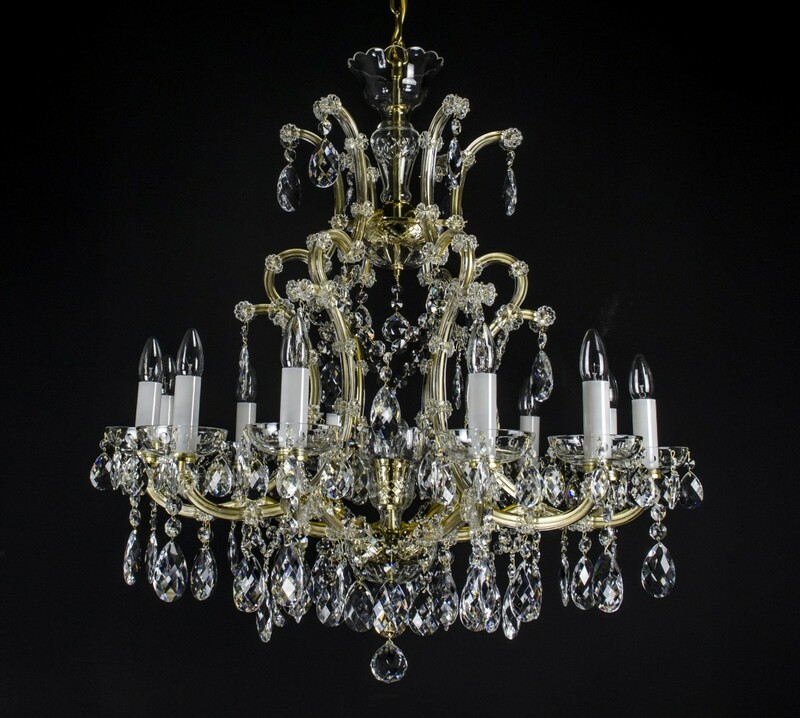 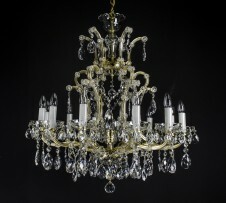 Maria Theresa chandelier - galvanically coated brass. 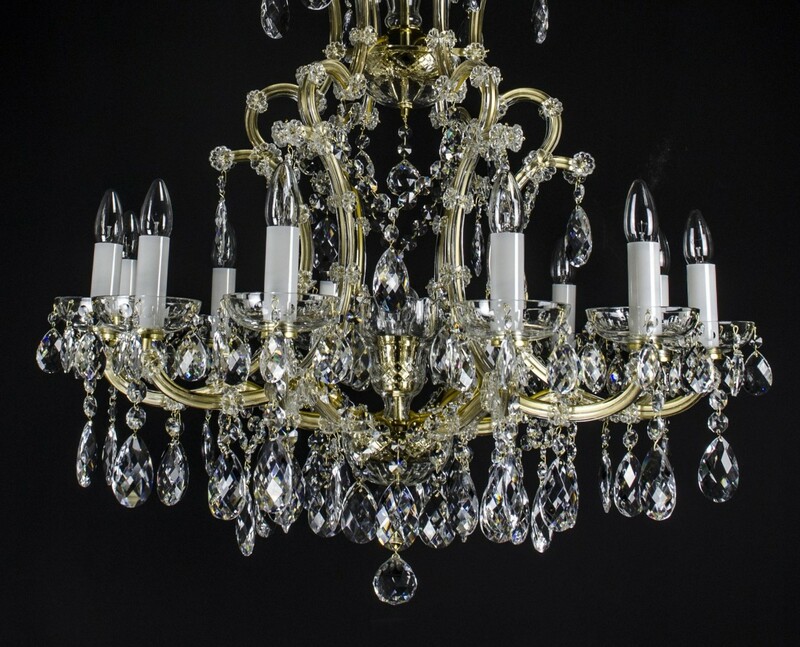 Dimensions (W x H): 80 x 90 cm/ 31.5"x35.4"